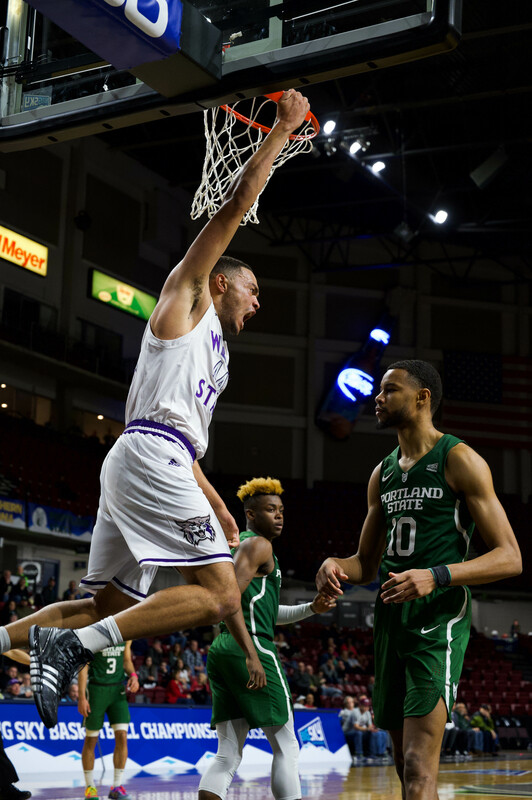 The Wildcats made big plays in Saturday’s game against the University of Northern Colorado Bears, leading them to a victory of 59-52 as part of this season’s Big Sky Conference. The game started out badly for Weber as the Bears gained an 8-2 point run before the first quarter was over. Although most would feel discouraged, the women’s basketball team rallied and took back the lead with 28 seconds left in the first half, making the score 25-22 Weber. The Wildcats went in motivated and stayed ahead, achieving a 10-point-lead midway through the second half. However, Northern Colorado was not about to give up the game and was able to keep up the difference in what was a fantastic last half for both sides. Juniors Jalen Carpenter and Regina Okoye did well, having both scored in double figures, with Jalen having the highest overall with a score of 15 points. Northern Colorado also had two players able to shoot into the doubles. D’shara Strange brought in 17 points and 11 rebounds while Kyleigh Hiser made 11 points and 9 rebounds. This made for a great night for both sides. Other players who did well were freshman Jocelyn Adams and senior Carlee Lough, who each made 8 points for the Wildcats. Jocelyn Adams lead the team in rebounds, saving eight for the team. The team throughout the night shot 46.3 percent from the field, 11.1 percent from the three-point line and 66.7 percent from the free-throw-line. However Weber State was outrebounded with the Bears reaching a stat of 38-34 overall. The Bears also had 15 turnovers to Weber State’s 17. With this win the women’s basketball team is now 4-6 in the Big Sky Conference and 9-12 overall in the season. The Wildcats will host another game when Idaho State comes to Ogden for their next Big Sky Conference match on Feb. 7 at the Dee Events Center.